If you’re feeling burnt out and are looking for a treatment that promises utter relaxation then an aromatherapy massage could be just what you need to recharge your batteries. Using essential oils to help energise, de-stress or reinvigorate a tired body, this pampering massage is designed to leave you feeling relaxed, limber and totally chilled out. Feeling burnt out? If you’ve been running on empty, an aromatherapy massage could be just what you need to recharge your batteries. Massages are usually pretty relaxing, but it's (the missing?) addition of essential oils (the aromatherapy part) that makes this treatment truly transformative. Essential oils can do everything from energise to de-stress or reinvigorate, so your therapist will have a proper consultation with you before you start to assess where you’re at emotionally, as well as checking in on any aches and pains. From there, your therapist can create exactly the right blend of essential oils (plus something called a ‘carrier’ oil, which stops the super-potent essential oils irritating your skin) for your needs and your massage can begin. The power of essential oils is twofold. Firstly, through inhalation, you’ll be relaxed by their lovely calming smell, but also, they penetrate the skin and move quickly into your bloodstream, loosening any muscle pains and working on any suppressed tension you’ve got. Through the physical effects of the oil on your body, and the smells travelling through your super-sensitive nasal passage to your brain to help relax you emotionally, you can imagine why some people manage to totally conk out during an aromatherapy massage. Essential oils can do everything from energise to de-stress or reinvigorate, so your therapist will have a proper consultation with you before you start to assess where you’re at emotionally, as well as checking in on any aches and pains. After an hour to an hour and a half, you’ll be ready to drift on out - despite how much you might not want to. All those oils can be (conversely) a little dehydrating internally, so make sure to drink plenty of water afterwards to keep your hydration levels topped up. Aromatherapy massage can be particularly good for sleep problems, persistent period pains, digestive woes and eczema, but it’s not usually advised in pregnancy or for anyone with kidney problems, due to the potency of the essential oils. 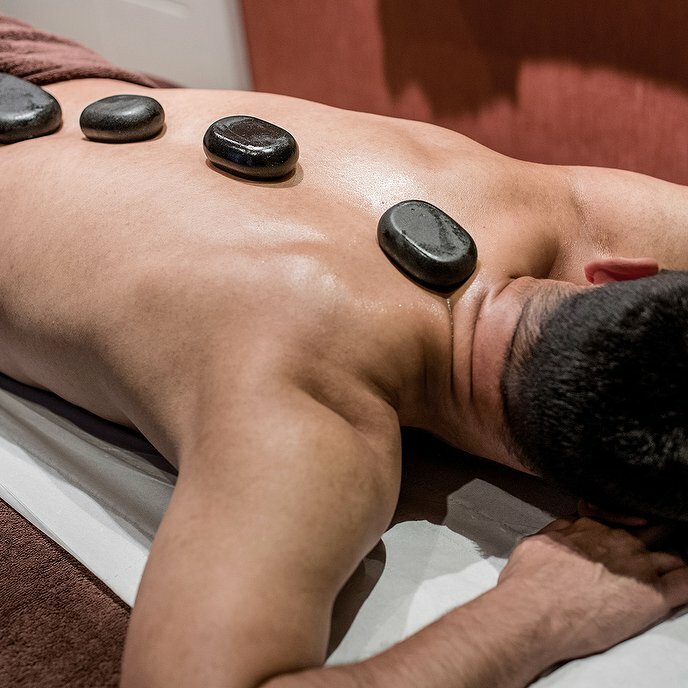 If you're stressed or have chronic pain and tension, a therapeutic massage may help to alleviate the pain; be it a back or abdominal massage, it will improve your physical condition and help you relax.